The P30 single flute range of solid carbide end mills provide great general purpose cutters for any CNC router. 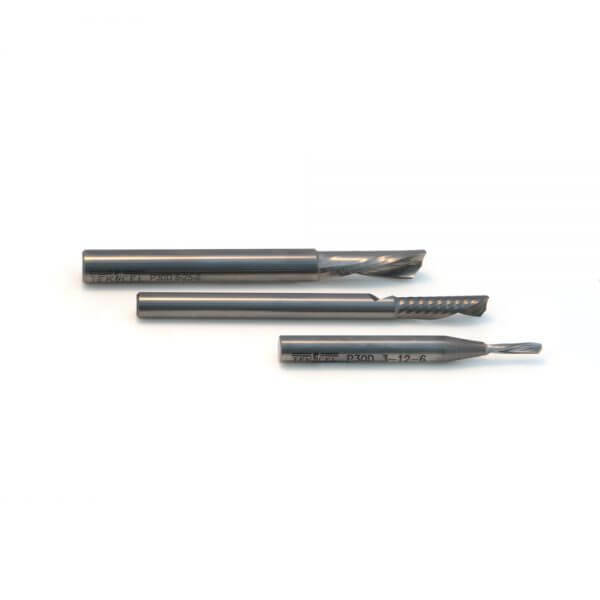 The 6mm diameter shank format delivers additional rigidity and this style of cutter is particularly popular with operators of manual tool change routers as it minimises the number of different collets required. Suitable for use on a wide variety of commonly routed sheet materials, P30 cutters deliver ease of use and excellent value for money.